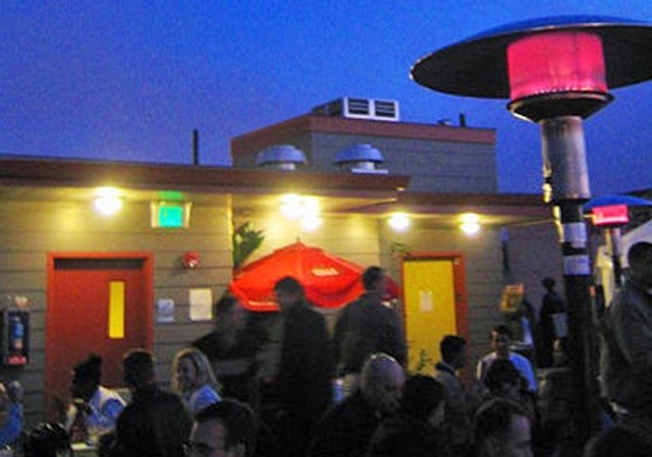 People enjoy a night out at Medjool's rooftop bar in San Francisco. Back in spring of this year, a big commotion began brewing over developer Gus Murad's proposed theater and condos project at the site of the old New Mission Theater in San Francisco led to a fun discovery. Namely the love-hate relationship with the City's only rooftop bar on top of Murad's nearby Medjool had somehow been built without the necessary permits. Medjool swore it was an accident, as they did with a couple other violations discovered around that time. The issue has since drawn some to rally to reopen the rooftop bar open and others to use the technicality to protest its existence. And the most recent opponent of serving drinks on the roof might be the most interesting of them all. The director of the San Francisco Buddhist Center broke out from a moment of zen to complain about her neighbor, Medjool. Mission Mission got a hold of a letter written by Suvanna Cullen with her concerns. She says the blasting music from the bar has disrupted her student's meditation sessions. "The reason I know this is because of the nights I spent feeling like my apartment was vibrating with sound, even with both sound windows shut, a pillow over my head, ear plugs in my ears," he wrote. The director worries that a public hearing on Wednesday about reopening the bar will be filled with Medjool supporters who don't understand "the real issues" behind the bar.